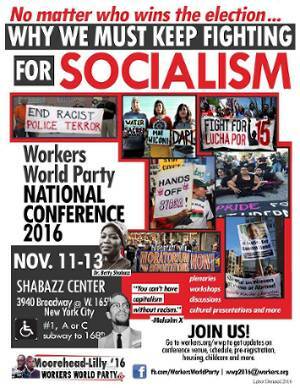 Nov. 1 — The national conference of Workers World Party is fast approaching. Slated for Nov. 11-13 in New York City, this gathering of revolutionaries from around the country and the world will be meeting just days after the U.S. presidential election. Whether Hillary Clinton or Donald Trump is elected, the struggle will continue for the workers and oppressed. 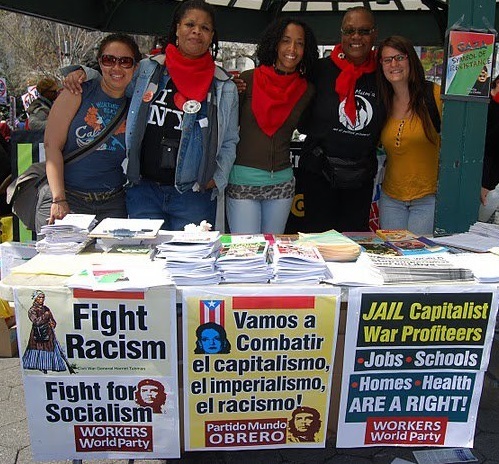 That has been the main message of the WWP national election campaign, and it means more organizing, solidarity, Marxist politics and strategizing for the struggle ahead are in order. That’s what the WWP conference is all about. “Many of us are disillusioned by the current state of things, but we have no illusions that things will get better on their own. Not only do we organize, we fight as if this were a war — a war on Black lives, a war on workers and oppressed people. As our battles intensify, many of us are thinking about how we must organize ourselves for the next phase — how we must convene our movement as the presidential elections will soon be over. Also, how we must build with each other and commit to solidarity — because so many people depend upon it: the Black Lives Matter movement, immigrant families, the LGBTQ community, women and the entire working class. 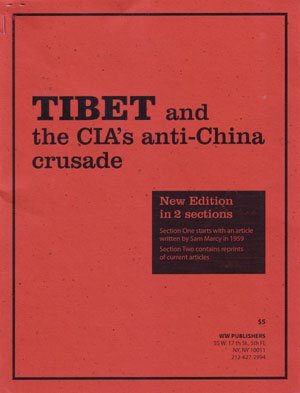 “On Nov 11-13, many of us are convening in New York City for the annual Workers World Party conference, at the historic Malcolm X and Betty Shabazz Memorial and Education Center, at 3940 Broadway (West 165th Street) in Manhattan. This will be a gathering of revolutionaries, activists, organizers, and community members who are fed up and say ‘No more!’ to the cruelties of capitalism and its innate racism, homophobia, sexism, Islamophobia, ableism and more. 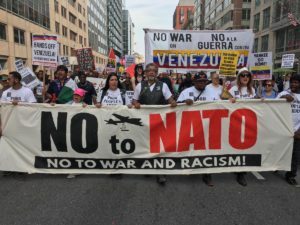 The letter was signed by WWP leaders Monica Moorehead and Lamont Lilly, revolutionary socialist candidates for president and vice president, respectively; youth organizer Loan Tran; and Teresa Gutierrez, campaign manager for the election campaign. Please make plans as soon as possible to attend the Nov. 11-13 conference. Go to workers.org/wwp to register and for updates and conference schedule (still in formation). Conference organizers need information in order to arrange for adequate housing, meals and more. 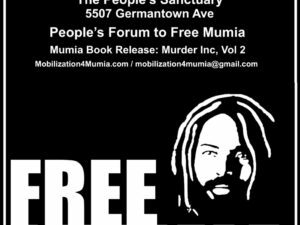 If you cannot attend, please give a donation to help sponsor costs of transportation, food and housing so that young and low-income activists can participate.